by Karen McVeigh, The Guardian, Thursday May 29, 2008. 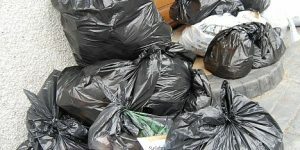 Supermarkets are falling behind local high street retailers and markets in reducing packaging waste, a survey has found. Up to 38% of food packaging in a typical supermarket shopping basket cannot be recycled, according to a report by the Local Government Association. Its second investigation into the problem discovered only a 2% improvement from last year. Analysis by the British Market Research Bureau into six leading supermarkets, a local retailer, and a market, concluded that retailers still had “a lot further to go” if Britain is to meet its recycling targets and avoid landfill tax. Welcome to the zero waste drive! Supermarkets have a long way to go, so the consumer has to take the lead. My ZWP (ZeroWastePackaging) attitude means that local shopping (unpackaged or home container) is the priority. In supermarkets, I choose unpackaged or recyclable/compostable packs, though not 100% since commodities come mostly in plastic. Good to see you and good luck with your site – how is it going over there? We were in our local Co-Op today and I have lots to write about that in future posts. There were some pretty good choices in there regarding packaging. Like you though, we try to use a local farm shop for the majority of our goods. My current bugbear is combined waste, where useful material, aluminium mainly, is joined to plastic where both are landfill bound. It seems that the current “wisdom” is landfill will take care of it. I am extracting the aluminium for recycling but it is a messy process. A simpler chemical/biological extraction process would be preferable. As a townie, my “local shop” is the High Street. So you are able to meticulously pull apart the plastic from the aluminium? Are you talking about packaging like crisp packets and rice bags in this instance? Examples of aluminium waste include milk top seals, sauce bottle seals, cream carton tops, coffee packs, chocolate wrappers etc. Avoidance is the best attitude but I am still working through old packs from before I started ZWP. Separating the layers is difficult and requires a specific process. Burning is 1 choice but is not ideal. Gosh, I live and learn. I confess I have thrown packaging like this on the fire and then of course, I’m left with a piece of tin foil to clean out. I’d never really registered what I was doing before. We’re in the same position, in that we’re working through old packaging and food so there are lots of nasties lurking in our cupboards! So how are you managing to separate these layers at home? Glad you have come across the same waste type. Putting it in the fire is a convenient choice, where available. Stripping off plastic can be achieved by cutting into the pack and then stretching the pack along the cut edge. This separates an outer layer slightly which can be lifted back to leave an inner plastic/paper/aluminium sheet . After removal of as much material as possible, I burn the remaining non-metal part to leave aluminium with a thin layer of black ash which can be washed off or left as part of the finished reclaimed product. This type of combined waste is in widespread use and is a sign of the unthinking waste attitude that exists. It sounds like you have this down to a fine art. Although, as we both might think, it’s time to rethink packaging and lifestyle choices altogether. It will be interesting to see how things progress over the next few years as recycling targets are increased and manufacturers are expected to do this bit. I’m intrigued by the ‘pay as you throw’ ideas that are bouncing around the internet at the moment………. The main fault does not lie with householders but with the throwaway society. Mrs A, you and myself are individuals who are setting good examples for others to follow. Forcing others to join in, by fining,is a dangerous path. There is a blame game where superstores blame councils and consumers; councils blame householders; all done to avoid their own responsibilities. I feel that the combination of individual actions will force the pace of change against the waste leviathon. Have a beautiful day, yourself! I agree that forcing others to join by fining is not the best way, but I keep seeing that once people are hit in their wallets they generally start to do something. Mr Green is concerned that pay as you throw would lead to fly tipping (I can see people sneaking things into neighbours bins in the dead of night too :D). I’m with you on the blame game and avoidance of responsibility; it is something that is rife in all areas of life – our education system, our health system and, as you point out the whole consumer / manufacturers / government thing. I agree with Mr Green in that fines will bring out the worst in householders as he described. Consumers do have power and I find that we are leading the rest when it comes to Zero Waste. British FMCG giant Britvic, has recently announced that it has reduced the amount of glass in bottles of its juice drink J20 as part of its ongoing work to reduce packaging and energy use. They have become a leader in the FMCG sector to reducing packaging and their carbon footprint. Their new bottles are 20g lighter, saving around 4,000 tonnes of glass a year. the new design has also led to improvements in filling line efficiencies, due to the bottle being lowered in height as well as energy davings of around 10% as less glass is used during bottle blowing. the lighter bottles also require less fuel to transport due to reductions in weight. Good example of a company thinking green and saving green. @Russell Lerman, Envido: Hello Russell, welcome to the site. I heard the Britvic story; it’s all food news. 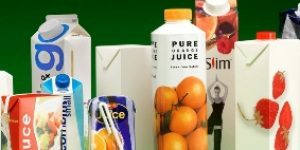 There are many companies reducing their packaging and it’s good to hear about what they are up to, so we can make better purchases as consumers.